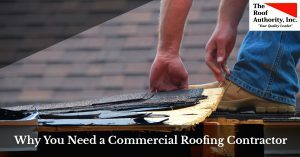 St. Lucie Commercial Roofer | The Roof Authority, Inc. Looking to hire a commercial roofer in St. Lucie? The Roof Authority has the experience and knowledgeable staff to help repair, replace, or install your new roof. In this category, we’ll go over all the reasons you should hire a commercial roofing contractor in the St. Lucie area. We’ll also give you tips on how to maintain your roof and help you spot any damage in your home that may be related to your roof. These blogs will go over the importance of maintaining your roof and what may happen if you don’t get it repaired quickly and efficiently. The blogs in this category will help you prepare your home for natural disasters, such as hurricanes, and even how you can decorate your home for the holidays. Choose the blog that stands out to you to get started! ©2017 The Roof Authority, Inc. - Do not copy. All rights reserved.